This stunning dwelling greets you with a sense of space, style, quality and privacy, inspiring any family to make its next move. It doesn't just say wow - it says welcome. The 247sqm (approx.) floor plan has been crafted to maximise space without compromise. With meticulous attention to detail the heart of this home will not disappoint and its gallery like opulence will deliver superb areas to both relax, entertain and showcase your art and style. The designer kitchen exudes class and flair with its stone and oak bench stops, walk in scullery and a large entertainers island. Adjoining the heart of the home is the open plan living/dining melding seamlessly through large stacker doors to the private outdoor oasis, with automated louvre system for balmy evenings alfresco, or to sit cosily with a coffee and watch the summer rains pass over. Plenty of room on the 615 sqm plot for a pool or spa, or simply enjoy the spacious outlook from numerous areas of this fabulous home. Depending on needs a second living space offers the versatility of a formal living area, media room, study or playroom - the choice is yours. The easily accessed family bathroom and bedrooms are together, with the master bedroom tucked away with its showstopper tiled ensuite, walk in robe and built in make up vanity reserving an added luxury for the home's main occupants. There is storage galore, separate laundry, utilities room, internal access garage and off-street parking. An array of features include home entertainment and audio visual system, under tile heating in bathrooms, full irrigation system, Italian tapware, Heritage Oak engineered timber flooring, low 'e' double glazing, designer lighting and double sided gas fire ducted to all bedrooms and living areas. 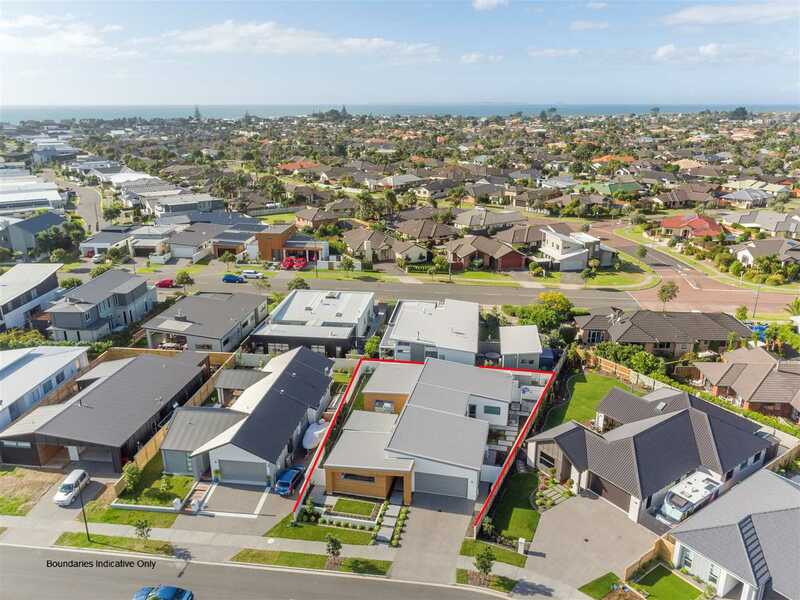 The location speaks for itself - Coast Papamoa is positioned on the cusp of Mount Maunganui and Papamoa with quality homes, Q café, beach nearby and the soon to be built Coast Retail Centre. This won't be on the market for long, call Team Theo to view!